OMG Posters! » Archive "Colorado Pride 2" Art Print by Ian Millard (Onsale Info) - OMG Posters! Ian Millard has been hard at work on a new mixed media piece. 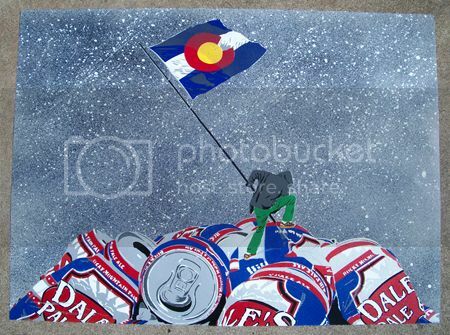 “Colorado Pride 2″ is a 22″ x 30” twelve color spraypaint/stencil print, has an edition of 20, and will be $80 shipped. It goes up tomorrow (Wednesday, March 31st) at 10am Mountain Time. Visit IansPrints.com.